It's the first of June, which can only mean one thing, it's Pre-Cut Party time! For those new to my blog, I send out a monthly email to my Newsletter subscribers giving away a free pattern based on my love of fabric pre-cuts. These patterns range from full size quilts and table runners to cushions and small gift items such as make-up pouches. Together with the free downloadable pattern, there are often discount codes for the associated fabrics, or for the whole kit if available. Having recently taken delivery of Dashwood Studios' gorgeous Birdsong collection, I couldn't resist using them to make these Octagon Star Table Mats for June's free pattern. I love how the larger prints, the birds and the trees, are perfect for that side panel for your cutlery. To grab your free pattern, plus access to previous free PDFs, subscribe here. Talking of Dashwood, I've also just uploaded these gorgeous fat quarter bundles, there are eight from the range, and are priced at £24.00. It's been a mad couple of weeks with two quilt shows, and then thankfully a few days away. Quilts UK at Malvern was a great show, I even managed to snap a few pics of some of the gorgeous quilts on display, but I'll leave those for a later post when I've got my head together. For more quilty fun and inspiration, pop along to these Links parties; Let's Bee Social, Midweek Makers, Needle and Thread Thursday and Main Crush Monday. Pretty placemats! Love the octagon star. You have the best ideas for precuts! 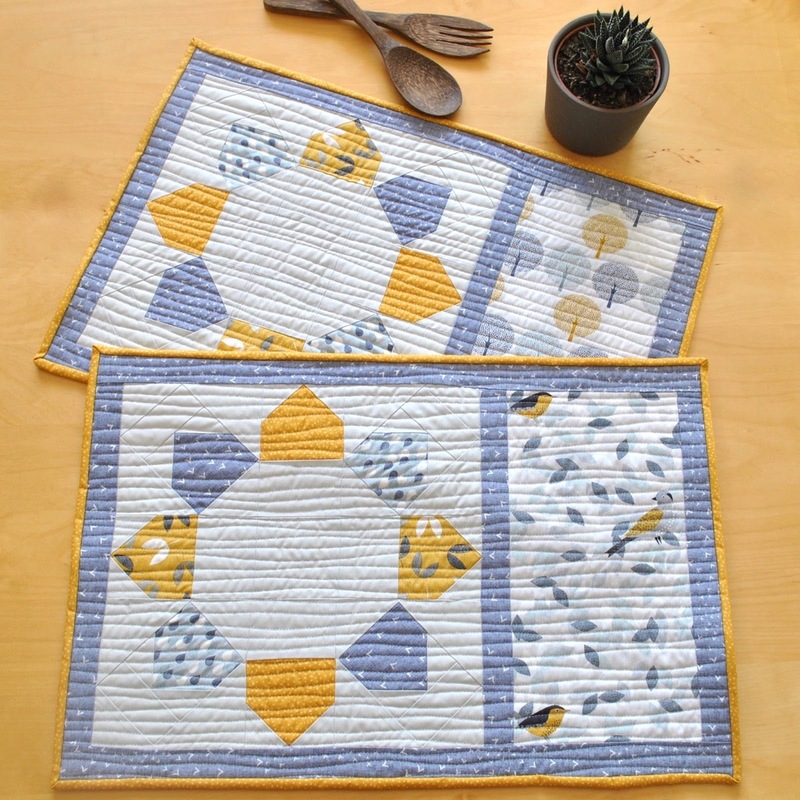 That is a very pretty fabric collection, and the placemats from it are even better! Thanks for sharing on Midweek Makers! The placemats turned out swell. Happy and modern. Pretty placemats and lovely colours. I like how you quilted them. Lovely octagon star design and the colors are so pretty! Thank you very much Rachel, its a gorgeous fabric collection! 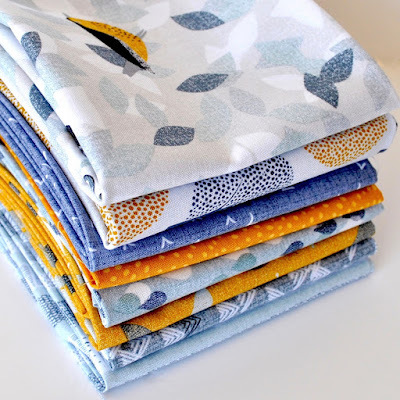 That fat quarter bundle is adorable - I really like those prints! They look so good in your placemats.